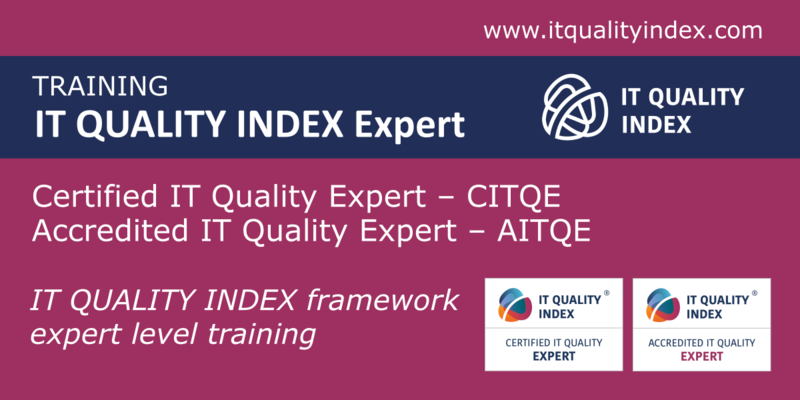 An IT Quality Index Certified product (ITQICP) is a service delivered by an IT Quality Index license owner to confirm and certify that an IT Quality Management System tool vendor has implemented attributes of the IT Quality Index framework, so that any organisation using the IT Quality Index gets the fundamentals for sustainable quality improvements process/system encoded into the certified tool. Certification, therefore, provides users of a particular tool with significant time and costs savings through the straightforward introduction of an ITSM based on the IT Quality Index framework. 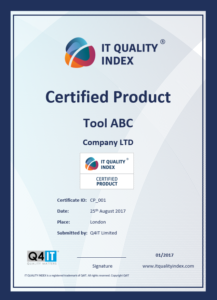 An ITQI certified product helps IT departments to demonstrate reporting capabilities, using a certified product, to prove factual evidence of volumes and types of improvements delivered by IT. The certification process is targeted to high-quality ITSM tools which are respected in the market and demonstrate their continual modernisation and support for ITSM driven IT management practices. This logo provides customers confirmation to get inside tool built-in, straightforward implementation of IT QMS without extensive customization and time extensive project reinventing IT quality management principles already described in IT Quality Index framework. 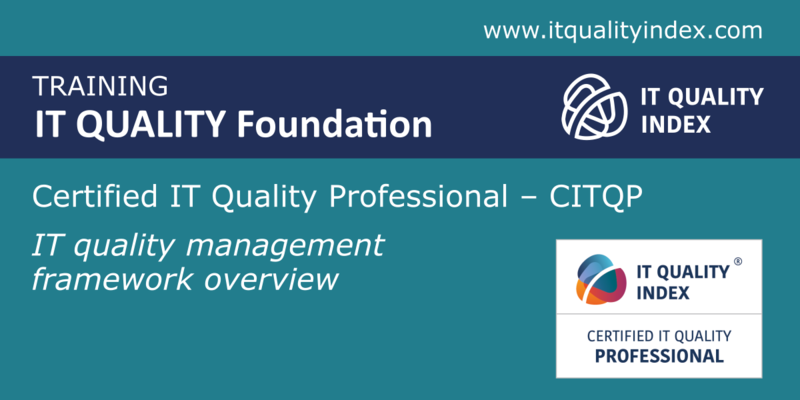 The certification authority will promote an ITQI certified product through the IT Quality Index web page tool listing, blogs, papers, social media, trainings and consultancy projects so certified products gets visibility and positive recommendations via multiple communication channels. You can download more information about certification process here. Sign up to receive email updates and to hear what's going on with ITQI framework! By submitting your application, you consent to the processing of the personal data specified in the application form within the meaning of Regulation 679/2016 on the Protection of General Data Protection Regulation (GDPR). These personal data must be processed for the purposes of e-mail newsletter distribution and for communication with the subscribers. The data will be processed by the administrator to withdraw consent by sending an e-mail to info@q4it.eu. 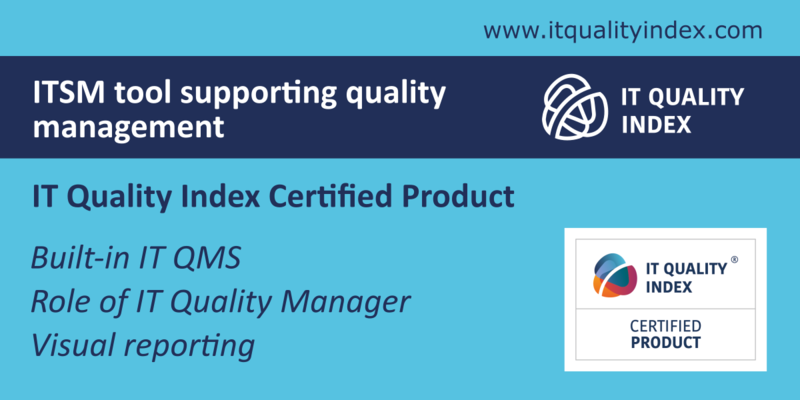 What is IT QMS and how IT Quality Index is fitting there. Why Quality Management is missing? What energy class is your measurement method? 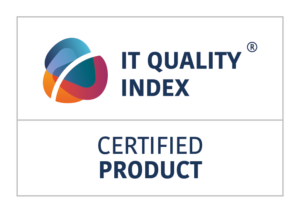 Finally we know that our IT quality is good. 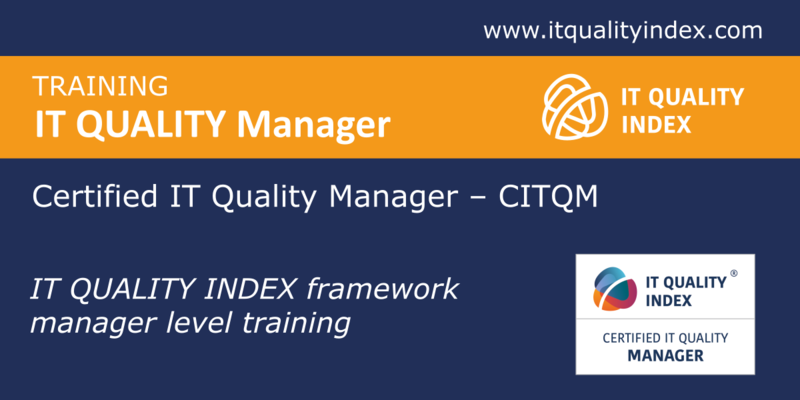 Case Study: Why we use IT Quality Index and IT Quality Management System. 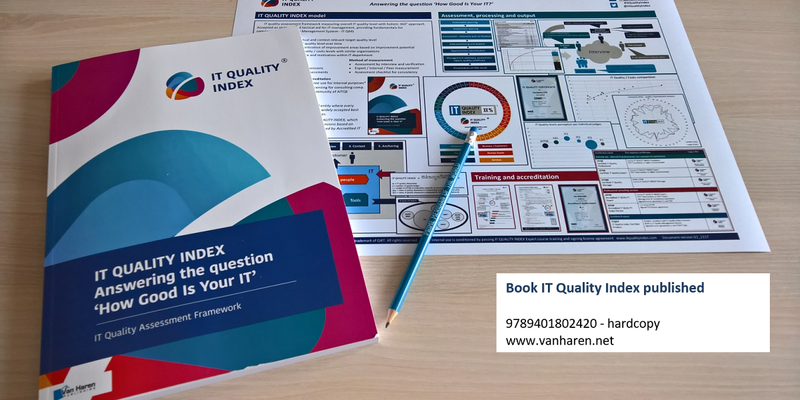 IT QUALITY INDEX is IT quality assessment framework, which is used for quality assessment in different types of IT organizations. It is respecting all major best practices frameworks and norms.